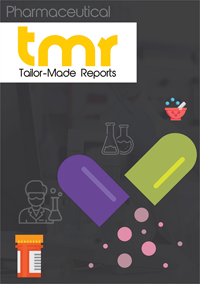 The report details an exhaustive account of the global Crohn’s disease therapeutics market along with numerous associated factors. Some of these factors that are included in the report are drivers, restraints, competitive analysis, latest trends and opportunities, geographical outlook, and many other aspects. The study covered in the report spans a forecast period from 2018 to 2028. From an overall perspective, the report is expected to exist as a valuable insight to businesses which are already operating in the global Crohn’s disease therapeutics market, as well for those who intend to newly establish themselves in this environment. Rise in prevalence of Crohn’s disease all over the globe is a primary factor driving growth in the Crohn’s disease therapeutics market. Such prevalence is mainly observed to exist in countries and regions that are exposed to various hazardous environmental conditions, industrialization, and high exposure to sunlight. Changing lifestyles such as dietary habits, a surge in smoking, as well as inheritance of relevant genes from affected persons too are reasons responsible for a high prevalence of the disease to exist. Owing to such a high presence of the ailment, the demand for quality treatment has increased tremendously, furthermore making the global Crohn’s disease therapeutics market expand splendidly. Moreover, large-scale efforts taken to develop biosimilars too is providing a heavy impetus to the market, thereby inducing rapid advancements in the relevant pharmaceutical industry. Increasing development of biological agents and anti-cytokine agents with different action mechanisms, coupled with the use of stem cells in treating diseases is anticipated to drive the global Crohn’s disease therapeutics market in future. Lastly, a key factor expected to propel the market’s progress up to a high extent involves an increase in number of pipeline drugs. All these factors are expected to broaden the horizons for this market substantially in the near future. However, high costs of deploying necessary equipment to provide treatment for Crohn’s disease poses as a key obstacle to the global Crohn’s disease therapeutics market’s growth. Moreover, lack of expertise regarding provision of treatment in remote and underdeveloped regions also is restraining the market substantially. Costly therapeutic procedures might discourage those having disposable income from not opting for the treatments, which is gradually proving to be worrisome for the market’s growth. Nevertheless, many players are looking forward to introduce cost-regulated therapeutic procedures, thus offsetting most restraints in the next few years. Region-wise, this market is mainly spread across North America, South America, Europe, Asia Pacific, and the Middle East and Africa. Of these, North America holds a dominant position in the market with respect to revenue earned. Established R&D infrastructure, development of novel therapeutics, and rising prevalence of the disease are key factors contributing to the market’s growth in this region. Furthermore, effective regulations associated with provision of therapeutic and other treatments in the United States also has contributed to a large share of revenue gained by North America in the global Crohn’s disease therapeutics market. Apart from North America, Asian countries such China and India are expected to emerge as attractive sources of revenue during the upcoming years. This is mainly due to an increase in quality treatment procedures being carried out by well-established players existing in the region. Johnson & Johnson Services Inc., Pfizer Inc., Allergan, AbbVie Inc., Takeda Pharmaceutical Company Limited, Celgene Corporation, Perrigo Company PLC, Ferring B.V., Salix Pharmaceuticals, Gilead Sciences Inc., Genentech Inc., and UCB India Private Limited, are some of the notable players operating in the global Crohn’s disease therapeutics market.